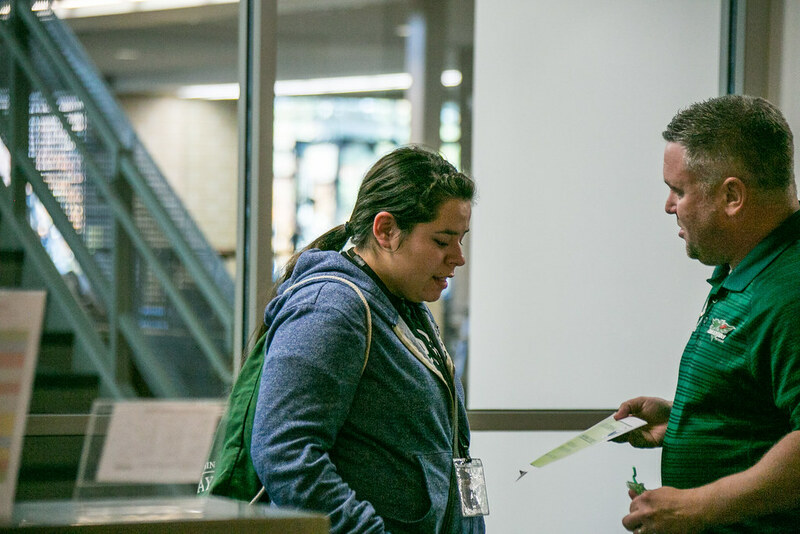 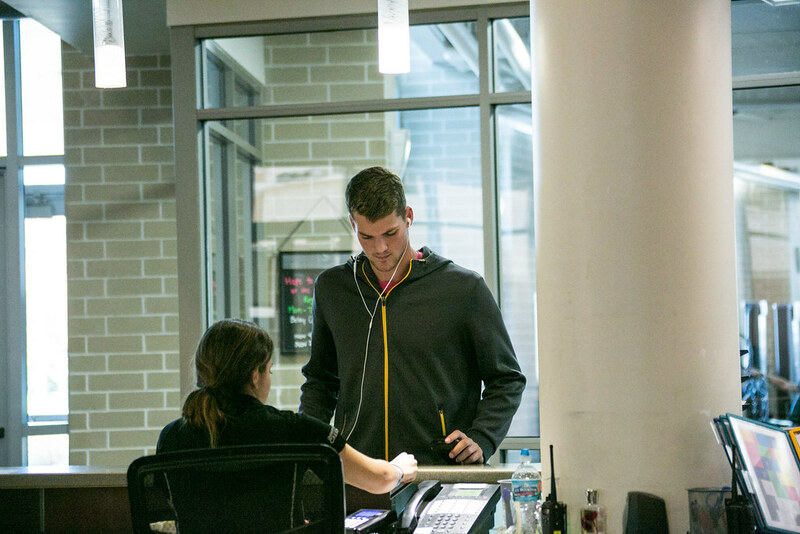 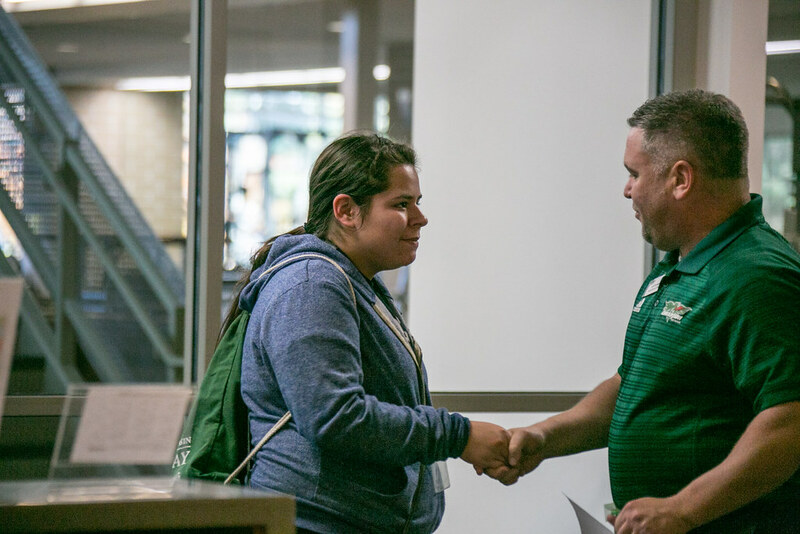 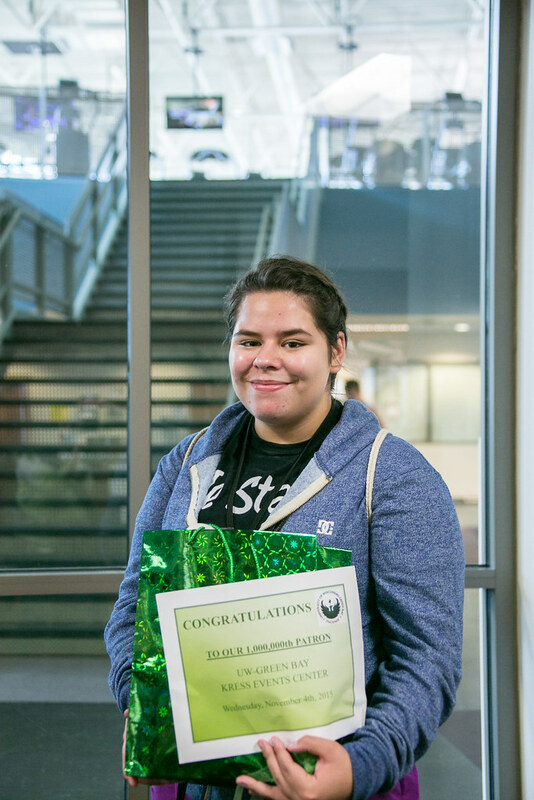 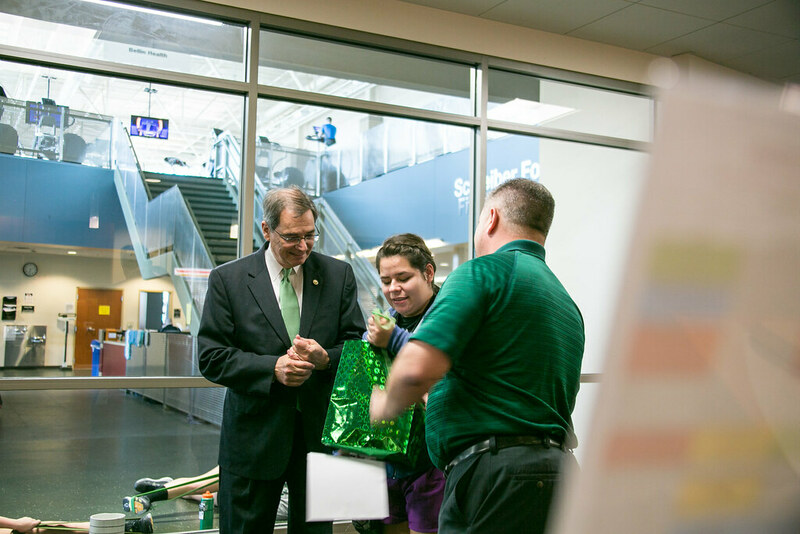 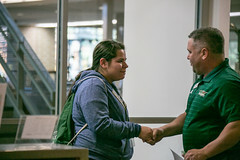 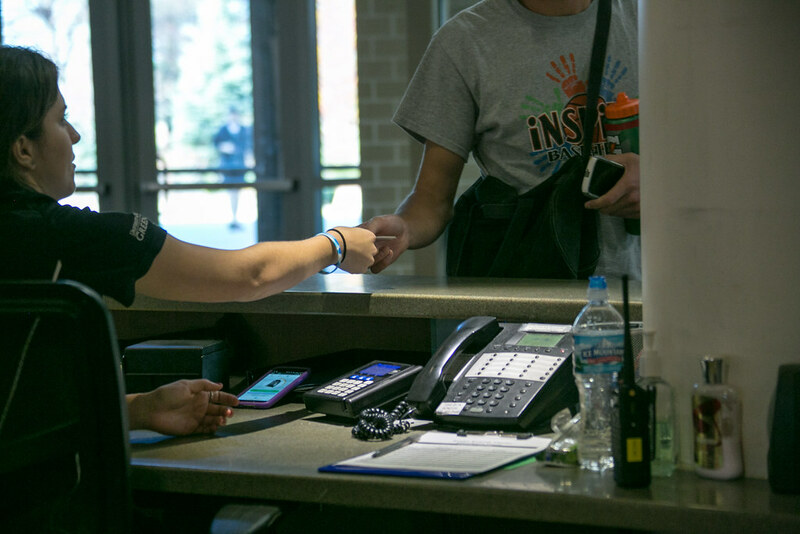 UW-Green Bay student Ashley Garza headed over to the Kress fitness center on Wednesday afternoon (Nov. 4) to spend some time on her favorite cardio machine… and walked into a big surprise at the front desk. 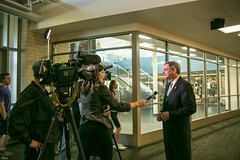 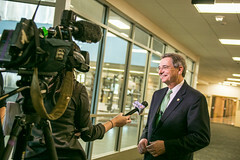 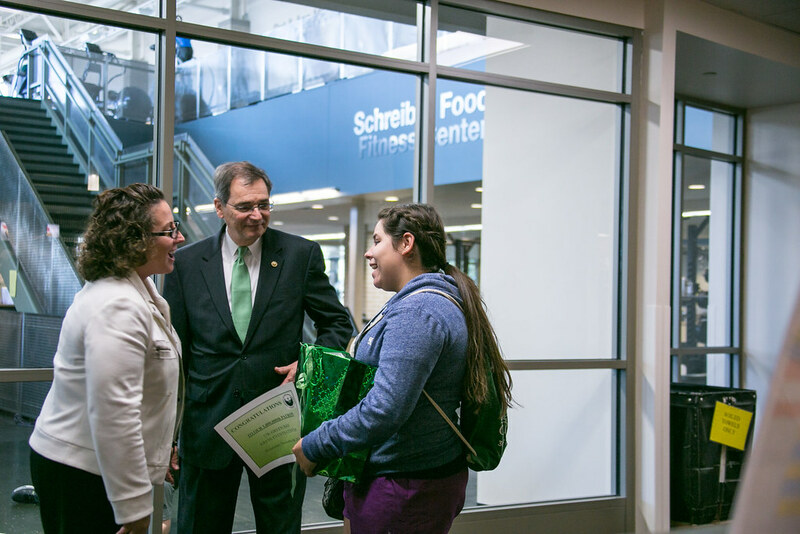 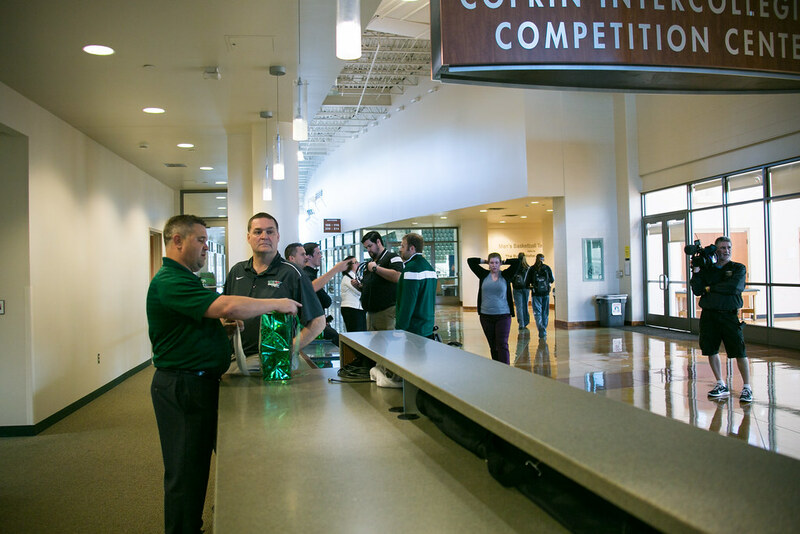 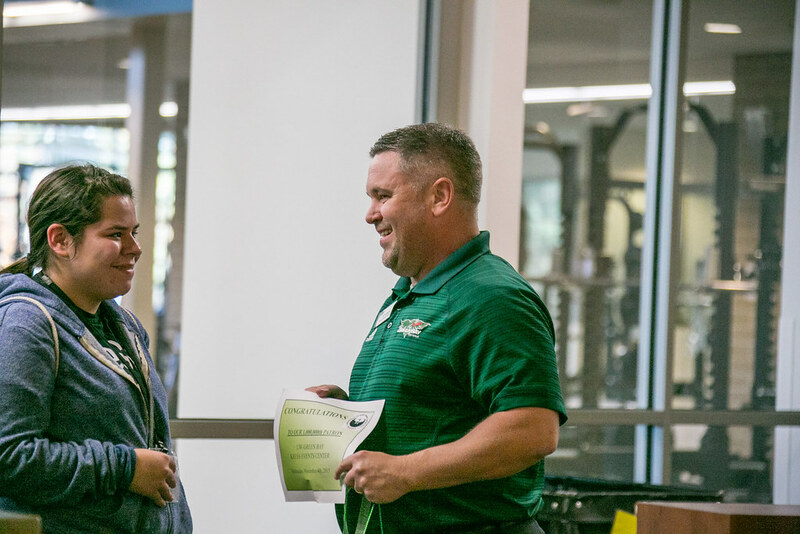 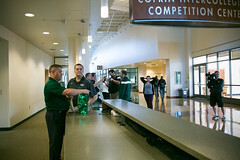 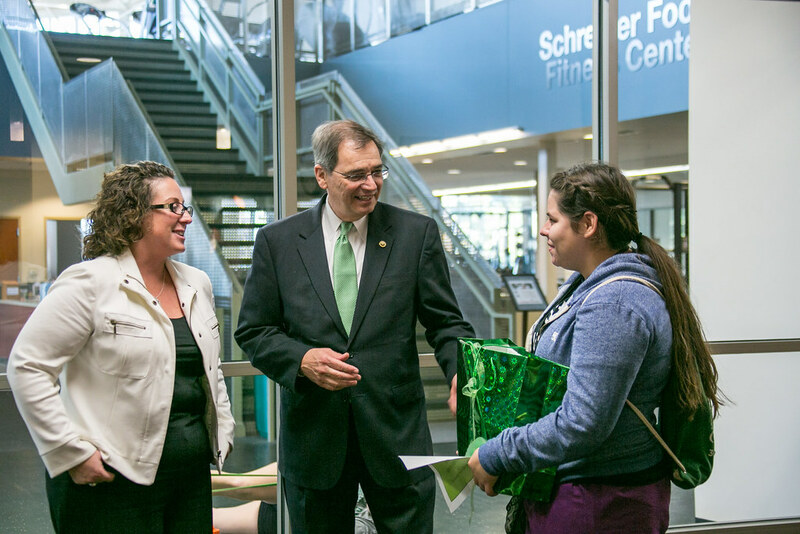 Eight years of card-swiping each and every fitness, recreation and intramural patron allowed Kress Center staff to pinpoint Garza’s workout as the one-millionth patron visit since the facility’s grand opening in November 2007. 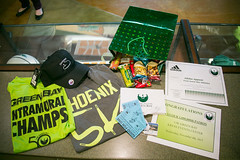 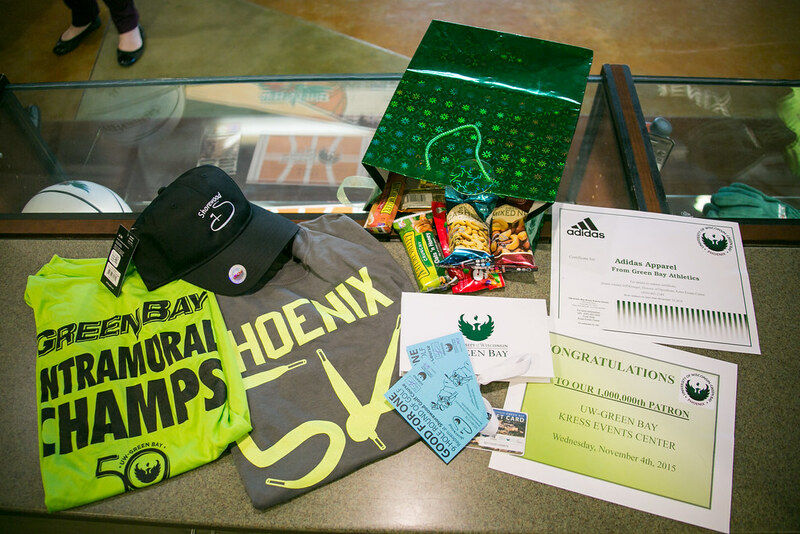 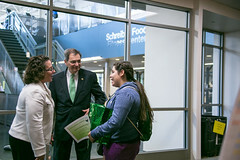 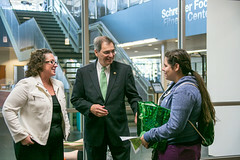 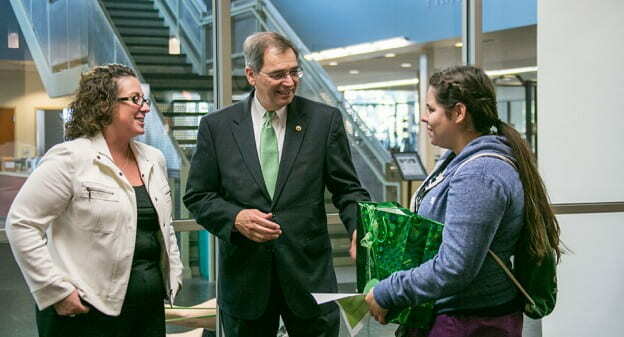 Garza received a gift package of apparel, passes and discounts from Chancellor Gary L. Miller and Athletics Director Mary Ellen Gillespie to mark the milestone.